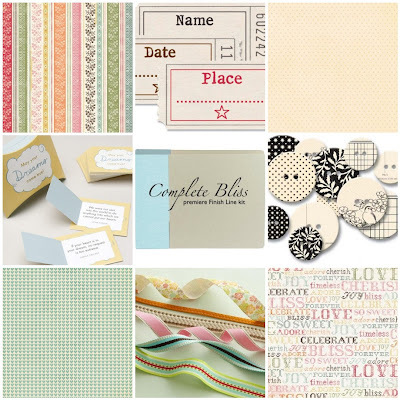 Before I left for CHA, Stacy Julian announced that she was going to start compiling kits to go along with her Finish Line Scrapbooking concept. 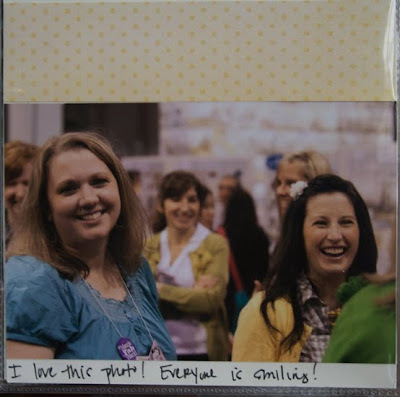 Finish Line scrapbooking was all new to me, but I knew I wanted to learn more. So I put it on my schedule to go and find one of the kits and hopefully meet Stacy in the process. As luck would have it, she was at a booth talking about and selling her Complete Bliss kit on Saturday at the Super Show. I got to basically walk right up to her, introduce myself and tell her what I wanted to do. She was so sweet. This woman could easily be my friend. She was so gracious and kind. She grabbed one of her kits and gave it to me to review . So, here is the review on this FAB kit. 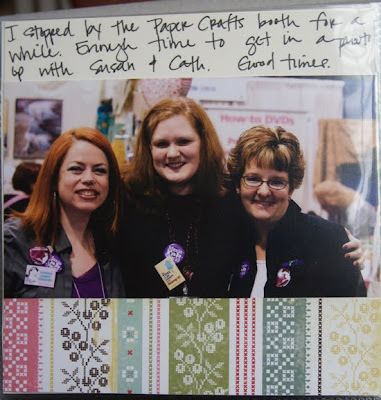 Firstly you need to know a little about Finish Line Scrapbooking. You can't think about it. You just do it. This is a fast paced, no nonsense, get it done kind of scrapping. Totally out of my box. So I got my kit out, listened to the podcast that she has available, and scrapped. It took me about 2 hrs from start to finish on this album. TOTAL. Crazy huh! I have to say that I took a different theme for this album. 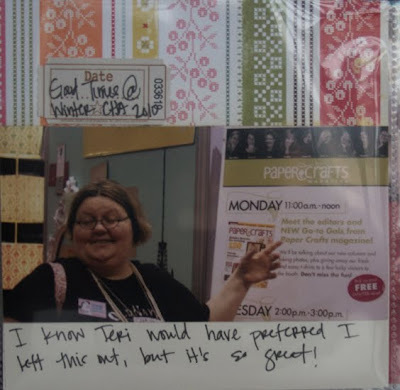 I used it to showcase the people I met and hung out with at CHA. It was a great experience. I also did some journaling. You are supposed to do a title page, but I ended up doing a summary page at the end. I really like the flexibility of it. Here are a few of the pages I made. Available online: This kit is no longer available, but there will be different kits in the future at Stacy Julian.com. Again I must stay that I really like this kit. It is easy, super fast and very flexible. If you have a stack of pictures that need to be scrapped and scrapped fast, this is the way to go! What do you think? Is speed your thing or are you more of a thought out process kind of person? Let us know! The kit looks great and I love doing things quick and being done with it. I am not much on lengthly projects. Thanks for this review, but it does look alittle pricey! I've never really tried any kits of any kind even though I am very tempted by Studio Calico now and then. 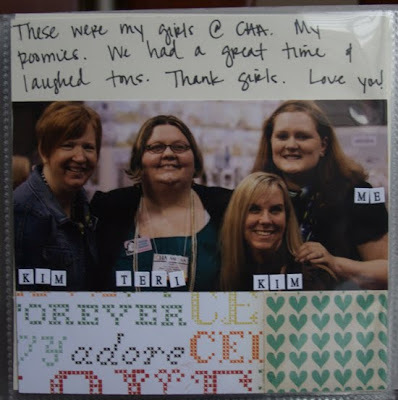 I do need to speed of my scrapbooking process, but for me the process of building everything is what's so creative and fun for me. Picking out the paper, the pictures, the alphas, the ribbon, the embellies, buttons, flair, etc. It is time consuming, but I love all of it! This kit sounds interesting. And it looks wonderful and I think that it would be worth a try. This looks like a great kit!! That kit looks fabulous! I love kits! I'm a think-it outer. I actually like it that way, since that's part of the creative process. However, I can definately see sometimes where I have something an I just want to "get it done" and this would be great for those times!!! I am really in love with this concept. 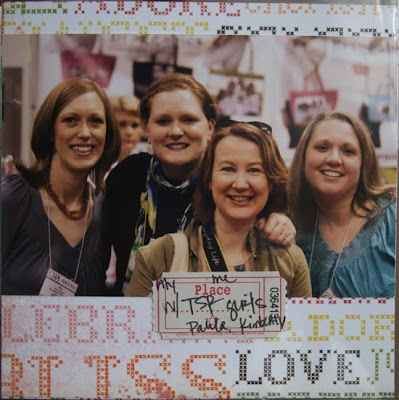 My BIGGEST failure as a scrapbooker is taking too much time and falling so beyond behind. I need to apply this technique to my work a few times a month and knock out some pages so I don't feel bad about doing a few really special (read time consuming) layouts once in awhile. Interesting idea! And great mini! 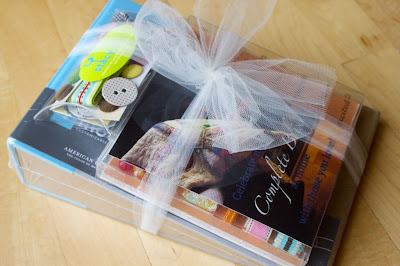 Just discovered your blog and am bookmarking it! I love the idea of reviews by real scrappers! Not a user of mini-albums in general, but this was a great idea for this kit. I could see using it for a vacation, or maybe for a graduation gift! LOVE it!! That is really cute!! That is what I love about Stacy Julian-scrap it. Tell the story. Its not fancy, but it just made me smile. It told the story perfectly and it was pure. Not over thought, just your true emotions. And its photo focused!! Personally, I like to think and plan it all out but I am not closed to trying something that is quicker to get something accomplished. Thanks for the info. I'm not so speedy, I like to think things out. It is part of the fun! I don't have a large stock of photo's, so there's no need to be very speedy. 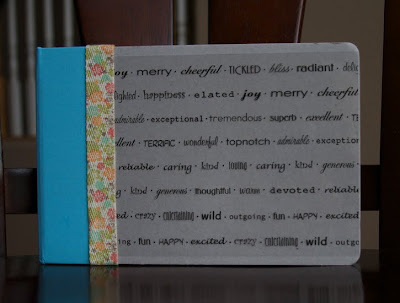 I want to have the exact colour cardstock to match photo's. So, although the kit looks great, I think I won't buy it myself! It's not my kind of scrapping. i love the concept! yea, i have a stack of pictures. i really don't like that its $40. thanks for the review! Sometimes it's good and cathardic to think things out, but other times I want to sit down and get it done...fast! Especially when the topic is one like this. I mean, is there really a need for deep and emaningful journaling about CHA friends? Probably not. So to have this finished in two hours is AMAZING! Stacy is a genius. I would mix Thought-Out scrapping with Finish Line scrapping and be a happy camper. What an intriguing kit! You did a great job with it!